For an armoured knightly look, choose the Visored Bascinet Combat Helmet. 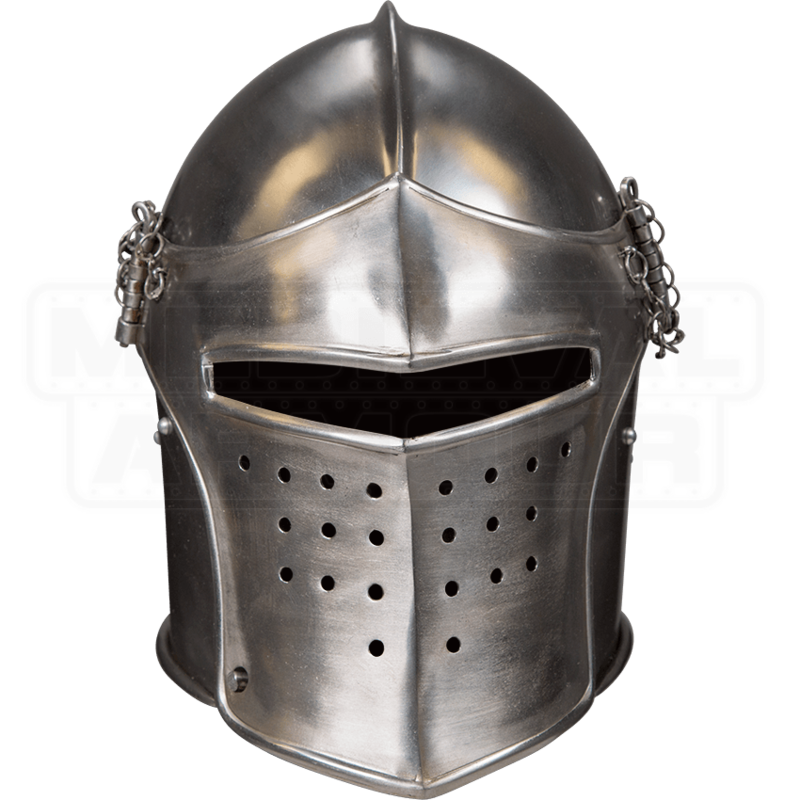 This polished steel medieval helm has a rounded skull and an attached front visor for protection of the face. Choose from 16 gauge and 18 gauge steel options. Pins and chains at the side of the visor secure it in place. The visor can be removed completely. This face-covering visor features a wide, rectangular slit for vision and has dotted cut-outs on the lower half of the face for ventilation. A short ridge accents the round skull. Inside, the helmet has an adjustable, padded cotton canvas liner, and leather straps secure it in place when tied under the chin. 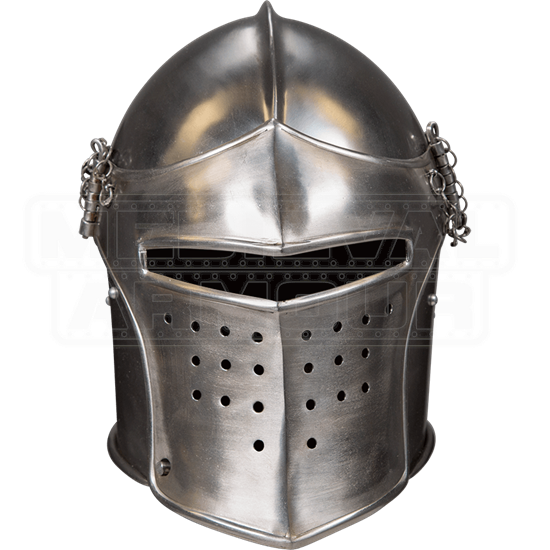 Worn over an arming cap, this steel knights helmet makes an impressive addition to any armour set for reenactment, the Renaissance faire, LARP, or other costuming activities.